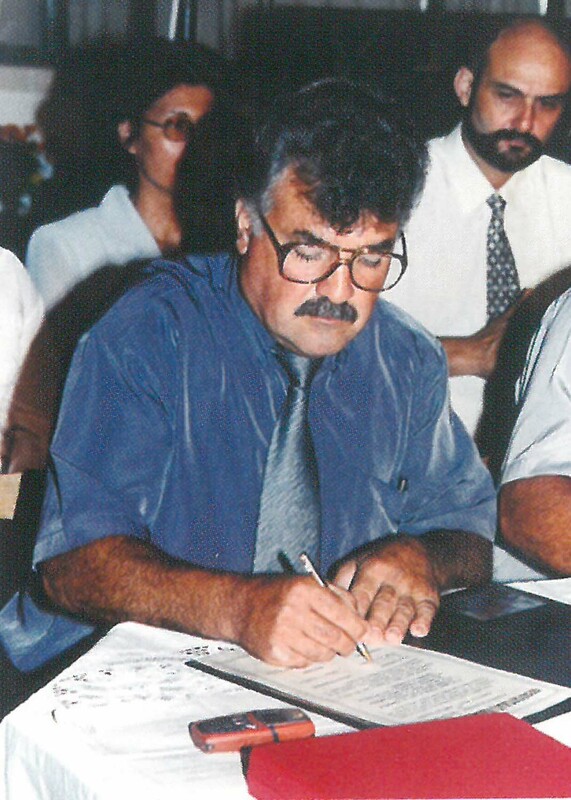 The fraternization of Apsiou with Argyroupoli Rethymnis contributed to the betterment of relations and exchange of ideas in several aspects of the inhabitants’ of both communities lives. 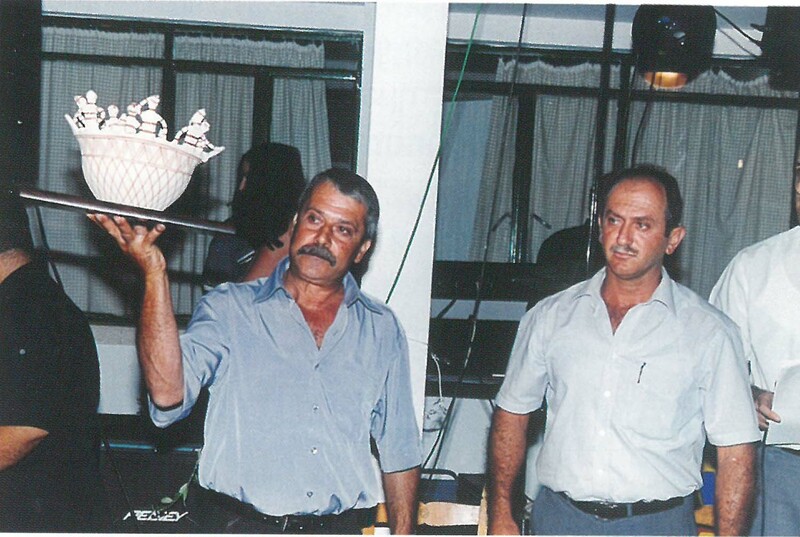 Friendship and cooperation relations between Crete and Cyprus go back to Homeric times. 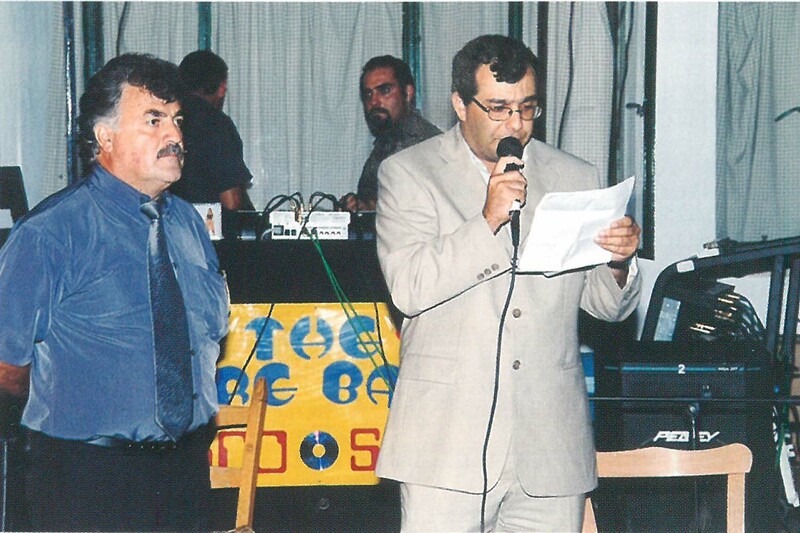 Mr. Zenonas Zannetos, the head of secondary education in Rethymni nomarchy and Mr. Sotiris Zannetos, principal of Apsiou Primary School were the first to think of the idea of fraternization. The exchange of material regarding ecology within the European educational program framework was the initial contact between the two schools. 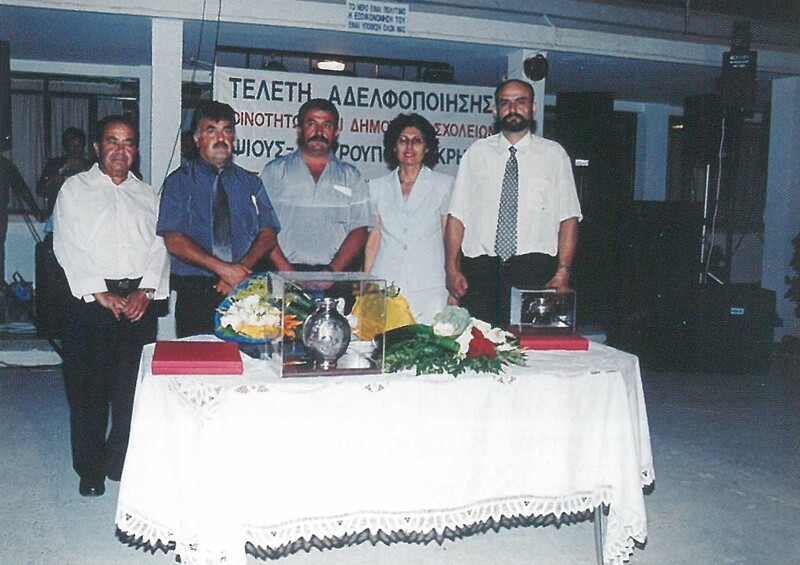 The initial discussions concerning fraternization took part in summer 2002, when a group representing Apsiou visited the Primary School of Argyroupoli. Explicitly, the president of the community council Mr. Andreas Louvarotis, the principal of the Apsiou primary school and Andreas Koronides visited Aryroupoli. The representatives from Apsiou accompanied by certain bodies of Argyroupoli were guided to all sights in Aryroupoli and the neighboring communities. The aforementioned visit was the beginning of a warm friendship. The inhabitants of both villages communicated daily. Then Gavalas Nicos discussed with Zenon Zannetos, the president Romania and the rest of the community bodies about the idea of fraternization. “Everyone accepted”, writes Rodanthi Gavala. Gradually, the inhabitants of both villages started to talk about a “double fraternization”, of schools and villages. 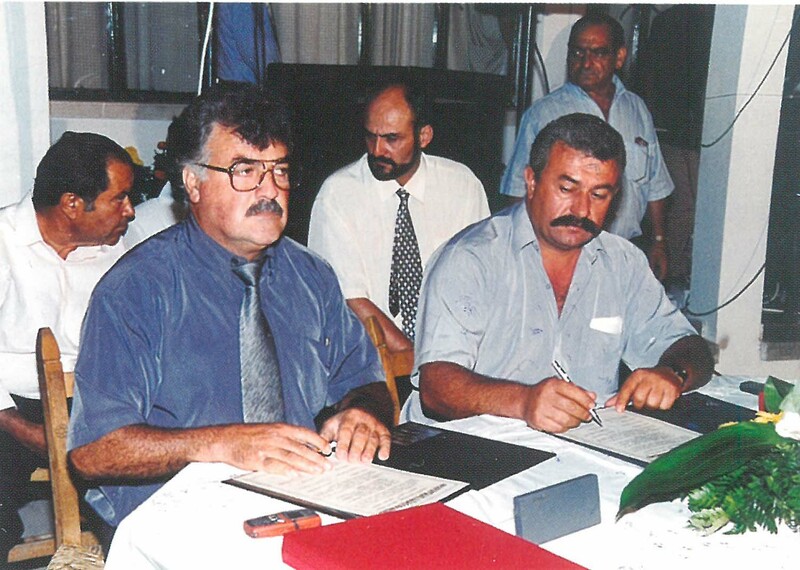 At the beginning of January 2003, a group of representatives from Argyroupoli that consisted of N. Gavala, Vagg. Tzagaralexakis, Panay. 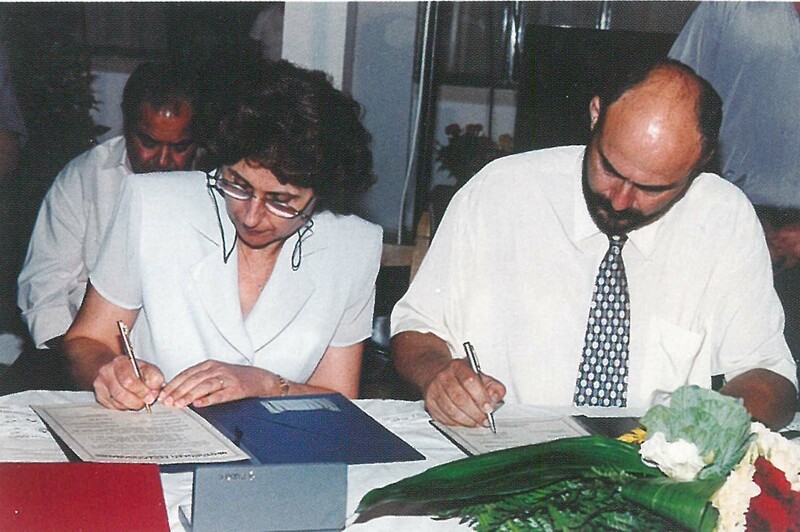 Athanasoula and G. Vougiouklakis arrived in Apsiou and posed the idea of fraternization. The inhabitants of Apsiou welcomed the representatives from Crete with great pleasure and they showed them the warmth of Apsiou hospitality. 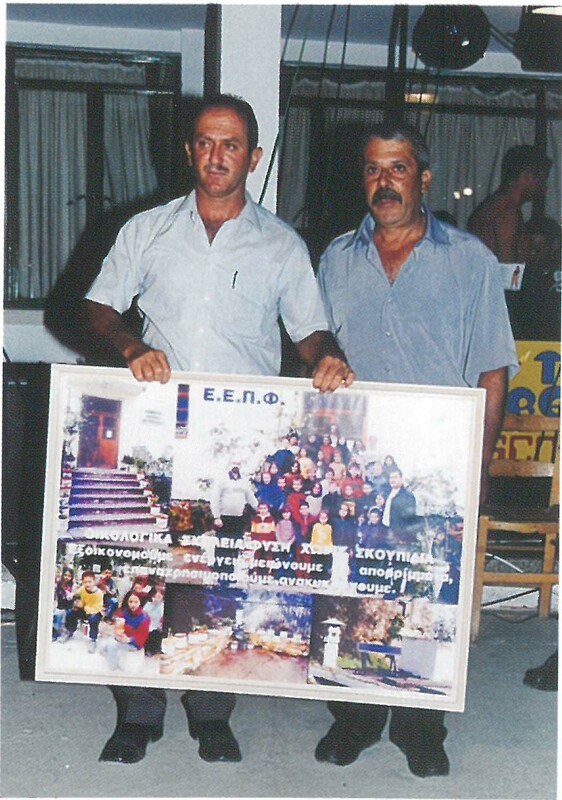 During their visit in Cyprus, they also visited many villages in Cyprus. A few months later, explicitly during Easter, a group from Apsiou visited Argyroupoli, so as to set the date for the fraternization. The fraternization ceremony was set for the 23rd of August in 2003. It is worth mentioning that young Apsiou inhabitants and their teachers took part in this visit. The pupils learned a lot about Easter customs of Crete and exchanges ideas with young pupils from Argyroupoli. What is more, they presented traditional Cypriot dances, dressed in the traditional Cypriot costume. All of them anticipated their next meeting, which would take place in the following August. 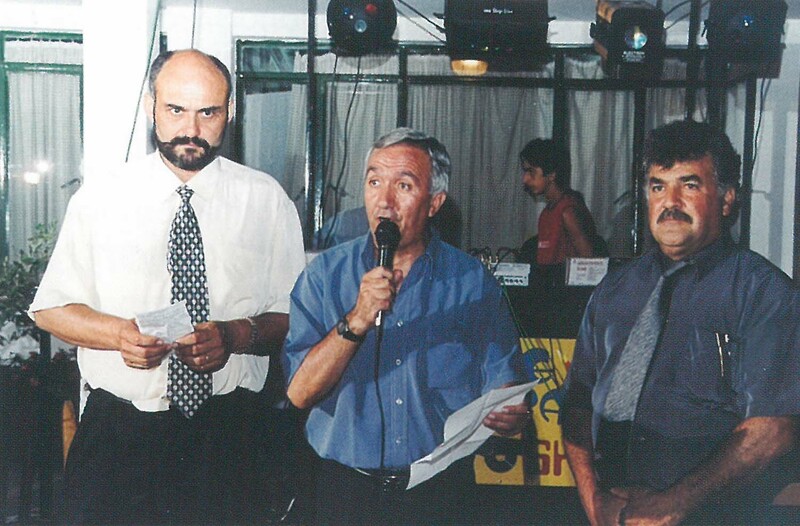 Rothanthi Gavala writes: “We could not wait to visit Cyprus and meet the rest of our brothers in Apsiou”. A series of conferences on the fraternization procedures followed, in which the teachers, the Community Council, the Parents Association, the School Inspectorate and many people of Apsiou took part. Small committees with a representative were organized so as to achieve better coordination in a major group, whose president was the president of the community council. The cooperation of all representatives was continuous as they all aimed to succeed. 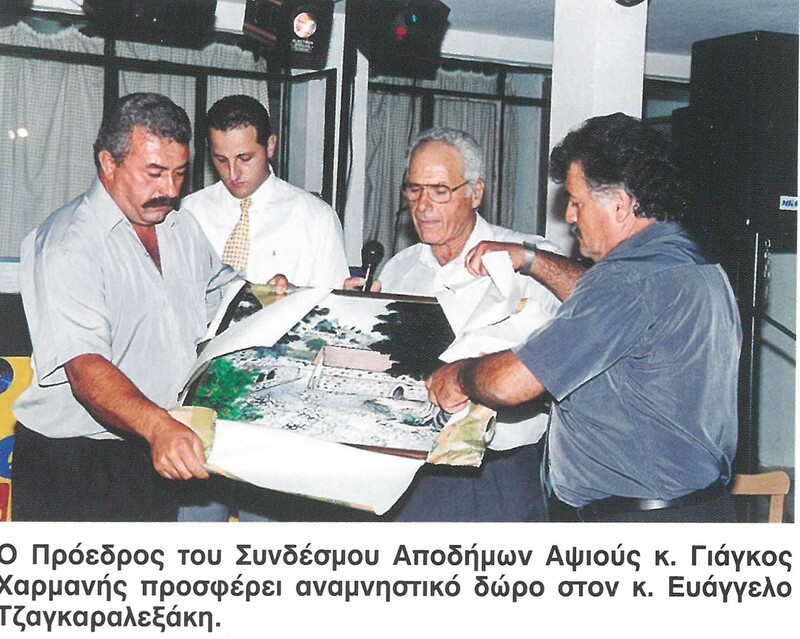 The major contributors for this were the teachers, the sponsors and all Apsiou inhabitants who took the people of Argyroupoli in their homes. It must be noted that the inhabitants of the village embraced all events concerning fraternization. 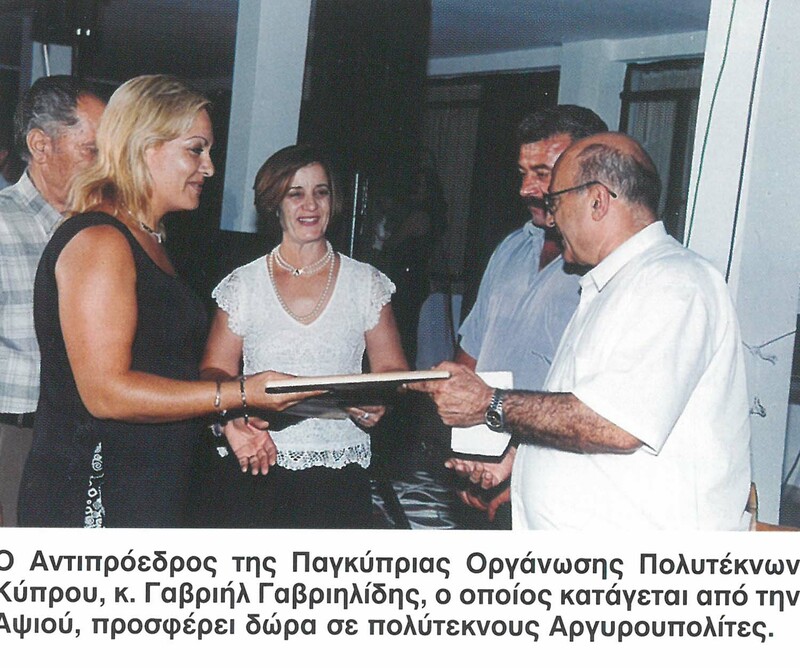 On Saturday, the 23rd of August 2003, “Memorandums of Fraternization” are exchanged before the members of the Community of Apsiou, the Local Board of Aryroupoli of Lappaion Municipality of Rethymni Nomarchy, teachers of Apsiou and Argyroupoli Primary Schools. 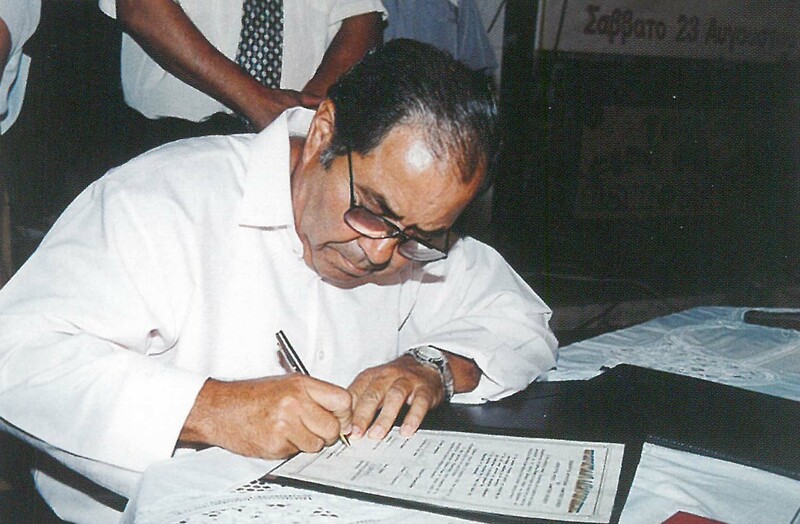 The “will of the inhabitants and teachers for fraternization” is concealed in this memorandum and it is also an “honor contract for the fight of the two communities, the Community of Argyroupoli in Crete and of Apsiou in Cyprus, for the final liberation of Cyprus”. 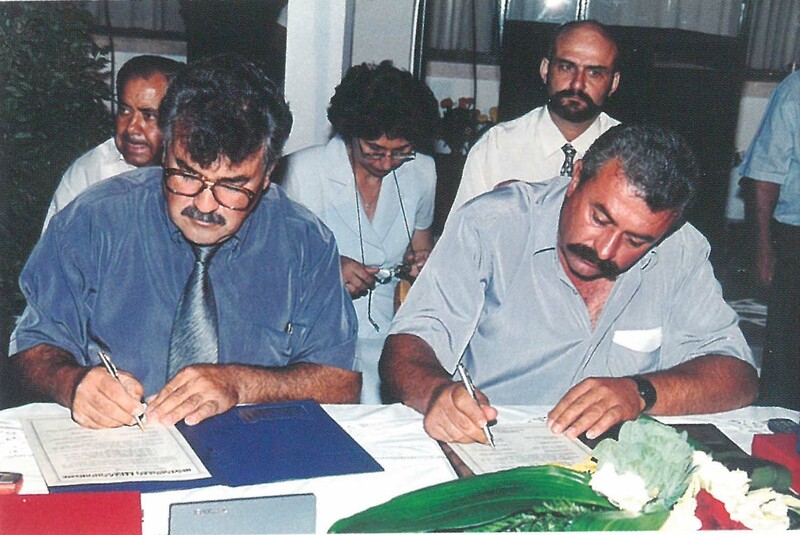 The “general principals” of the cooperation between the two communities and their schools are defined in the fraternization deed. Explicitly, one of the general cooperation principals refers to the exchange of ideas on all aspects such as tourism, education, entertainment and culture. What is more, the fraternization of the two schools promoted the exchange of teaching experience, organization of common programs regarding ecology and history. Finally, the two schools organize camps aiming to learn more about the natural environment, culture and tradition of the two islands.